Go Big Read: 2011-2012 Go Big Read Book Selected! 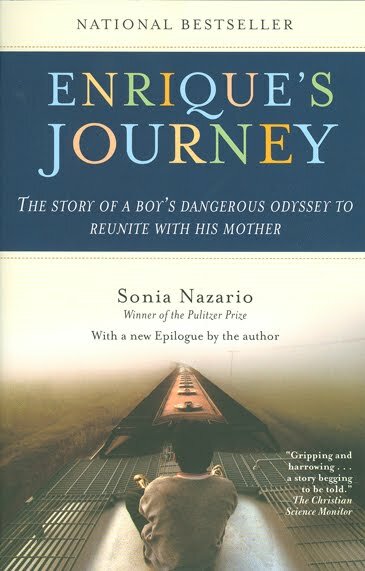 Chancellor Biddy Martin has chosen Enrique's Journey, by Sonia Nazario, for the 2011-2012 Go Big Read book selection (official release). This nonfiction book tells the story of a young boy who travels from Central American to North Carolina to reunite with his mother, an immigrant, who he hasn't seen for many years. Sonia Nazario, is a project reporter for the New York Times. In preparation for the book, she spent years researching the path taken by migrants who travel illegally to the United States, even retracing Enrique's dangerous journey herself. We're excited to begin discussing this book and the many relevant and timely issues surrounding it. Click here to visit the official website for Enrique's Journey. We hope you'll continue following the Go Big Read blog throughout the year for more information about the book and its role in our campus community.